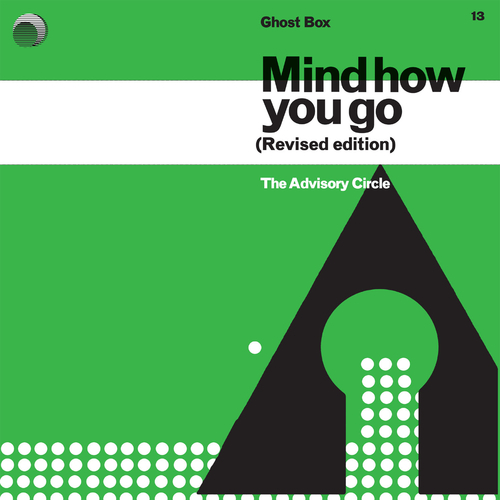 An expanded album length version of the 2006 Advisory Circle EP Mind How You Go, inspired by the world of TV Public Information Films. Remember, electricity cannot be seen or heard. Harmful, invisible forces surround us everywhere we go. Fortunately The Advisory Circle is on hand to help us make the right decisions. This new album length version of Mind How You Go includes four new tracks. A new krautrock inflected version of the title track Mind How You Go, by The Advisory Circle, a new piece of pastoral analogue electronics titled Seasons also by The Advisory Circle, an interpretation of Osprey called Osprey's Odyssey by Seeland (Tim Felton and Billy Bainbridge, ex of Broadcast and Plone respectively) and finally another of the original EP tracks re imagined by Belbury Poly (Jim Jupp, co-founder of the Ghost Box label) and titled And The Cuckoo Comes to Belbury. ...while it’s true that children of the 1960s and 1970s will be most susceptible to these curiously cold and clinical pastiches of the era’s eerie library music, Mind How You Go creates a hermetically sealed world finely detailed enough to fascinate listeners of any age. What Brooks poignantly captures is the conflicted cluster of emotions involved in nostalgic longing. "Mind How You Go" and "Nuclear Substation" summon remembered sunlight from childhood summers even as their doleful melodies are laced with a deep sense of loss. Yet there's a very definite but subdued joy here too, in the way that a track such as "Osprey" achieves a kind of faltering soaring. It's not for nothing that the word ache is often associated with nostalgia; and The Advisory Circle's music positively aches with a sadness that is simultaneously painful and enjoyable.